Like most German car fans, the BMW E30 hits all the right buttons. As a former owner, I still long for the day when I have enough space to go looking around for one to play with once again. I also like estate cars. Sad, then, that one of the most uncompromising 5-doors ever made was never offered stateside. 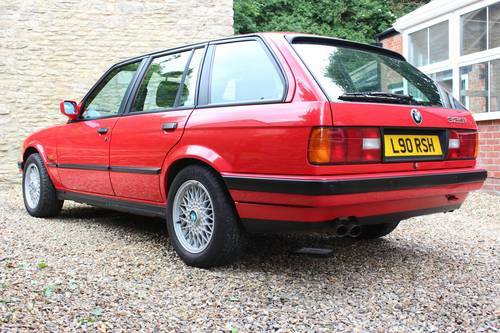 The E30 Touring was offered from 1987 through the end of E30 production and sought to marry the driving pleasure offered by the standard 3 series and mix it with a bit of utility. 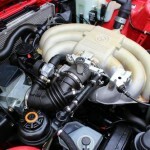 Offered with a choice of the 1.8 liter M40 four cylinder or the M20B25 2.5 liter inline six, you could also specify all-wheel drive on the six cylinder model. The US market wouldn’t officially see a 3 series Touring until the year 2000 in the form of the E46. Given the 25 year rule exemption with the Department of Transportation, a few E30 Tourings are beginning to crop up on US shores. Some intrepid enthusiasts have even gone to the trouble of importing these small estates in knock down form and reassembling them, oftentimes with more aggressive engine, transmission and suspension set ups. September 1993. BMW 325i Touring. 96,000 miles with a full and comprehensive history file. 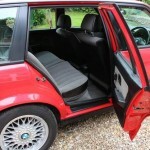 Reputed to be the very last 325i Touring sold in the UK, this was a special order car, as by this time the 6 cylinder Touring model was deleted from both the brochure and price list. (The lesser bretheren 316 & 318 models were readily available until into 1994). BMW UK know of none later than this car on their database. Current and previous MOT certificates. Service book, handbook, radio handbook, dealer listings etc. The car has an MOT until mid July, it will have a new issue certificate upon sale. The road fund licence is until February 2013. The bodywork is extremely good, just a couple of chips that have been touched in. The car retains its original panels and the majority of the paintwork is also original. The wheels are the correct and optional 15″ BBS variety, these are original and have been shod with Dunlop Sport tyres, they all have at least 5-6 mm of tread remaining. 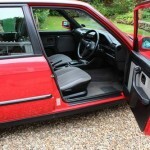 The interior is all but unmarked; seats, carpets, door cards, boot compartment, general trim quite simply superb. Even the original headlining is very good. Of course there will be a downside and there are a couple of very minor hairline cracks on the dashboard top. The car retains the original Philips Radio cassette player. An alarm and immobiliser have been fitted. Both work and are only there for insurance purposes. Mechanically the car is very strong. A full history file points to a properly maintained car and this does show through. If the car has needed anything, it has had it. 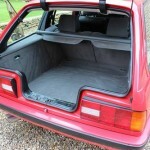 The car has all its original tools, BBS spare wheel, correct ‘Touring’ tool kit, unopened 1st aid kit etc. The car is ready for fun weekends, a second car that is different, or just a ‘high’ days and ‘holidays’ car…. it would be shame to be put into everyday use. This is very much an end of an era car, and duly needs to be treated as such. While presented very nicely, the automatic transmission is a detractor for someone like myself, not to mention I don’t live in a country where folks drive on the left. 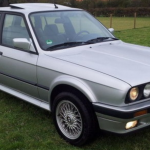 The next E30 Touring we are going to take a look at is for sale in Bavaria has higher mileage, but has a 5-speed manual gearbox and all-wheel drive, making it more attractive for the colder climates. 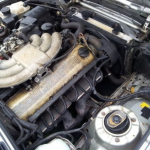 Our reliable 325ix touring has done faithful service and runs without any problems. 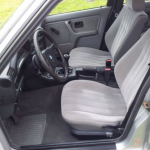 The interior is exceptionally well maintained. In November, a service was conducted (oil + filter, air filter, candles, and the front brake hoses replaced). Because of its age, the 325ix and rust (door edges, hood) and traces of paint and metal, hard to prevent in a vehicle of this age. To gain a comprehensive picture, a visit is possible and desirable in Regensburg. Please read the following instructions. Cash + pickup within a week after purchase. No renegotiation after auction. No returns and warranty. The vehicle is sold as is. Since the vehicle is offered elsewhere, I reserve the right to end the auction early. 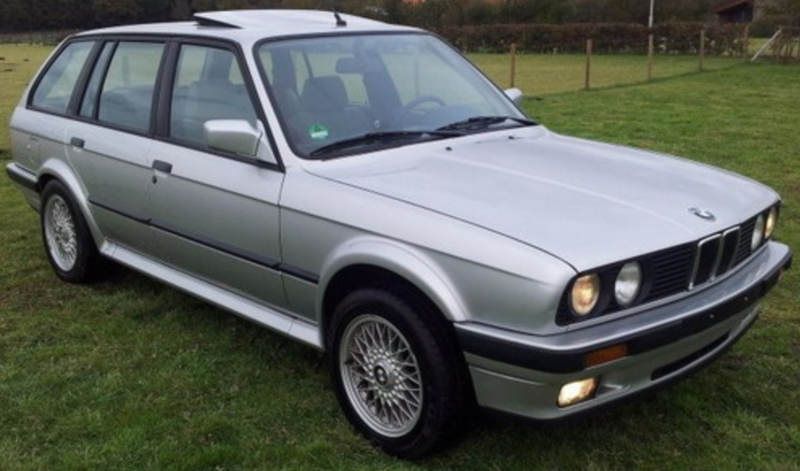 A good E30 325i with anywhere between 90,000 and 125,000 can fetch somewhere between $4,500 and $7,500. If available in the US, these Tourings would certainly bring somewhere north of $5,000 to $6,000, due to the rarity and the fact that they appear to be relatively clean and accident free. 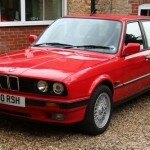 Even though the red E30 for sale in the UK is reportedly the last one sold new there, the automatic might hold back the value a bit with certain buyers. 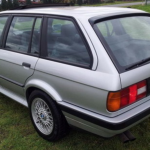 I’d suspect the silver 325iX Touring for sale in Bavaria will wind up somewhere around $5,500 by auction’s end, given the relative rarity of iX models, regardless of body style. 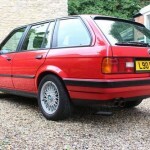 Tagged 1990, 1993, 3 series, 325i, 325iX, 3er, BMW, e30, estate, touring, Wagon.